ANREV is pleased to invite you to join a webinar session on 9 May 2017 (Tuesday). With the Paris Agreement ratified and the forthcoming release of the Financial Stability Board's Taskforce on Climate Related Financial Disclosure, there has seemingly never been more global momentum responding to the challenge of climate change. Furthermore, reporting from the UNPRI and the UN Environment Programme's Finance Initiative highlights both the physical and transition risks posed by Climate change. As Asset managers, how can we ensure our assets are best prepared for rising temperatures, increased extreme weather event frequencies and electricity shortages, as the world shifts to a low-carbon economy with the associated impacts on markets and global capital flows as mangers seek to reduce the carbon risk of their portfolios. Join us for a short webinar discussing the implication of these global trends on Real Estate investment and the property sector on May 9th. 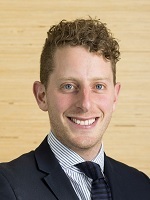 Ian has a wide array of experience having worked in international law and as a civil engineer prior to prior to joining the sustainability team at the Investa Property Group. Working in the Sustainability team at Investa, Ian has helped shape the Funds’ responses to climate change, both in terms of dealing with the physical risks posed by climate change (rising temperatures, increasing extreme weather events, etc.) and transition risks, as the world shifts towards a global, low carbon economy (changing investor expectations, volatile energy markets, etc.). In addition to his role at Investa, Ian has continued involvement with an NGO lending capacity support and assistance to Small Island Pacific Nations on the front line of the fight against climate change. This work has taken him to the last three UN Climate Change Conferences including 2015’s Paris Conference of Parties where the Paris Agreement was signed. Ian holds Bachelors of Laws (Honours) and Civil Engineering (Honours) from Monash University. 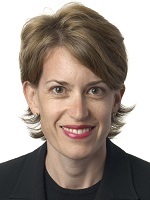 Elisa de Wit is a partner in the Melbourne office of global law firm, Norton Rose Fulbright and heads the firm’s climate change and sustainability practice. Elisa has over 26 years of legal experience and has practised in three Australian jurisdictions and the United Kingdom. Elisa is considered one of Australia’s preeminent climate change lawyers and advises clients on policy, regulation and compliance issues. She has been listed in Best Lawyers since 2012 for climate change and was named Best Lawyers 2014-2015 Melbourne Climate Change “Lawyer of the Year”. Elisa is a board member of the Carbon Market Institute.